Imagine you're going to a party. Maybe parties aren't your thing, but come along anyway. It's a social gathering, mostly just standing around, drink in hand, talking with one another. You're new to town. You know no one. The host grabs ahold of you and introduces you to the other guests. Most of the town is there. 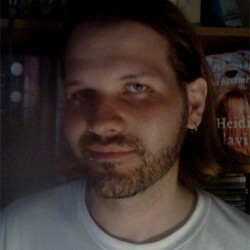 Your host, we'll just call him Jon, drags you to a group standing in the kitchen. “This is Jane,” he might say, “she's the vicar at our local church. And this is Su, she and her husband Andrew are expecting twins.” Jon will introduce you to each guest that's present. Some he'll spend a few minutes talking with, others he'll quickly introduce you to and move on. Some will talk about other residents who are missing from the party. At the end of the evening, you'll have been given the names of forty or more villagers and brief stories about each. How much will you remember the following day? What was it that Martin did for a profession? What had Mr. Wilson said? What do you remember? If you're like me, you probably only remember two or three things from that party. I would likely recall one or two of the most interesting people. I might recall the story one of them told me. I might remember the name of an attractive face. And I'd remember the host. Outside of these things, I will remember none of the details. So when Jon calls the next evening and tells me about what happened between James and Liam, Jones, Miss Dale, whomever, I will have no idea who he's talking about. That is the structure of Reservoir 13 and part of the problem for readers such as myself. Sure, there are those who go to a party and can recall eighty or ninety percent of what they've been told. They never forget a name or a face. Those people will probably have a much easier time with this story. Me, I was struggling chapter by chapter trying to remember anything about the person from the previous chapters. Reservoir 13 is without a primary character. It's a story about a town, and I love that. But in each chapter, representing another year passed, we're only given a couple sentences or a few paragraphs about each character. I couldn't keep it straight. And so, while a few remained in my memory from chapter one, others may have not made an impact until I got to know them better around chapter seven or eight. Others never made an impact, and though they were important throughout the novel, by the book's final chapter I honestly had no idea who they were. This can obviously make for a very frustrating read. 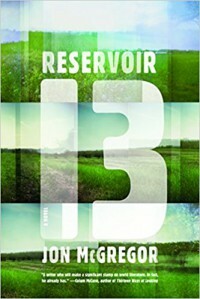 Reservoir 13 is a beautiful depiction of a village and all that happens around it. Perhaps the only character of relevance to this story is the town itself. There's some really great writing throughout, but those looking for a thread of a story or of characters they can bond with will struggle to make it all the way through. I struggled through to the end, recognizing the intelligence and beauty of this story and I wish I could've loved it, but I merely appreciate it for the talent shown. In a matter of weeks, I'll have forgotten all but what I remember from that party the very first night. It's not the fault of the host or of the town. It's my own. But one cannot discount that there are many others such as myself at the party and amongst the readers.